rava kheer recipe | suji ki kheer | rava payasam | sooji kheer recipe with detailed photo and video recipe. 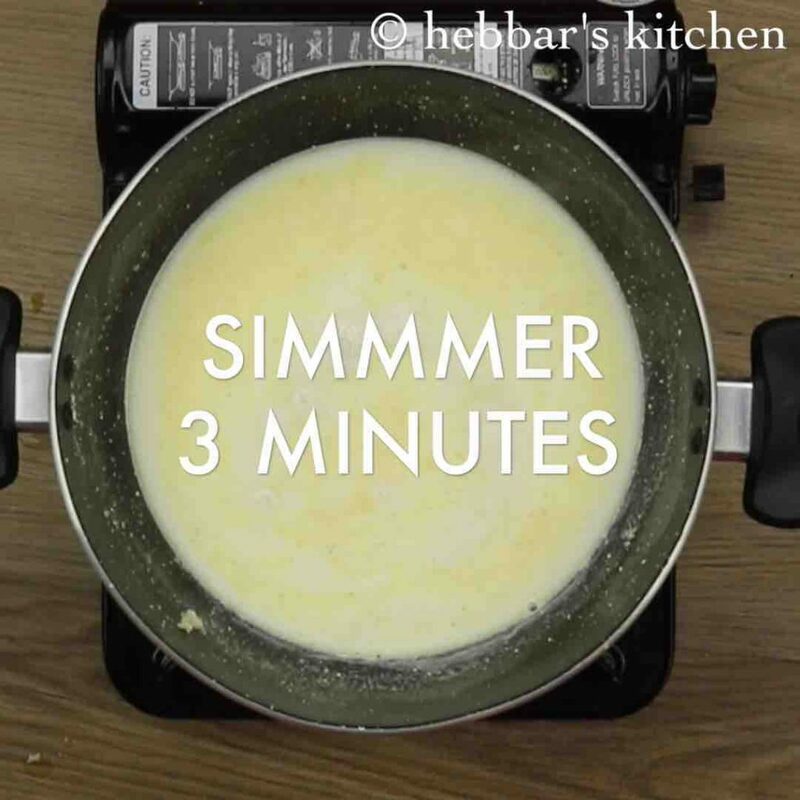 a simple, creamy, rich and instant version of kheer prepared with semolina or rava. it is mainly prepared during fasting and religious events as dessert or payasam. i have already shared the traditional kheer recipe and also the famous south indian rice kheer recipe. while i personally like the former recipes, but i prepare rava kheer during festive season or fasting festival. 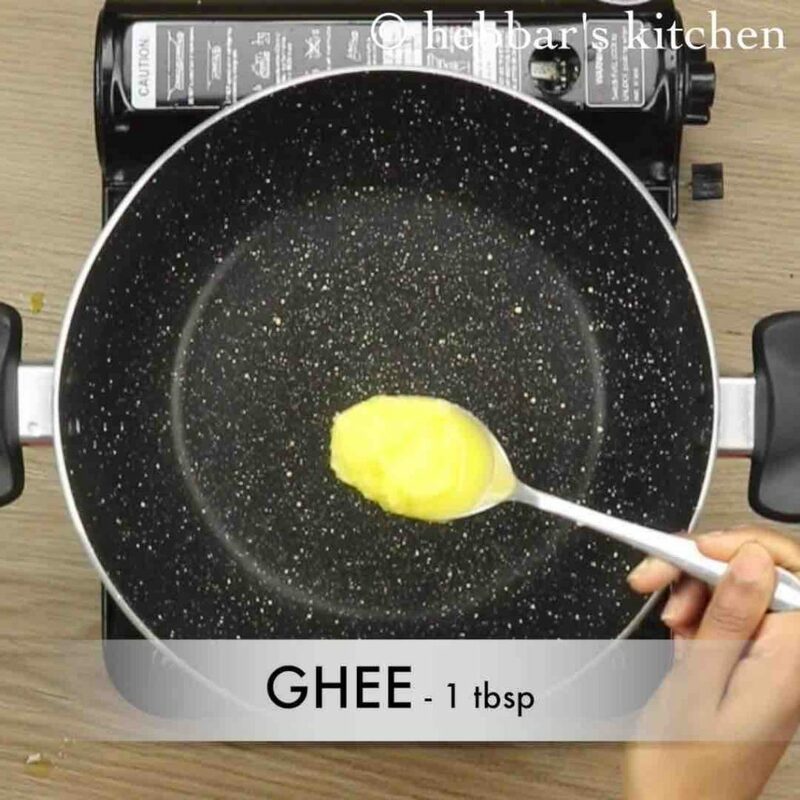 moreover it is easy and quick with less hassle compared to the traditional kheer recipes. i personally like semi thick version of sooji ki kheer, but the thickness can be varied as per the individual preference. furthermore some important tips and suggestions for a perfect and creamy rava payasam recipe. firstly, i have roasted the rava or semolina before adding milk, otherwise the kheer may turn soggy. alternatively you can use store bought roasted rava for this sooji kheer. further, i do not personally like sweet rava kheer and hence i have not added more sugar. 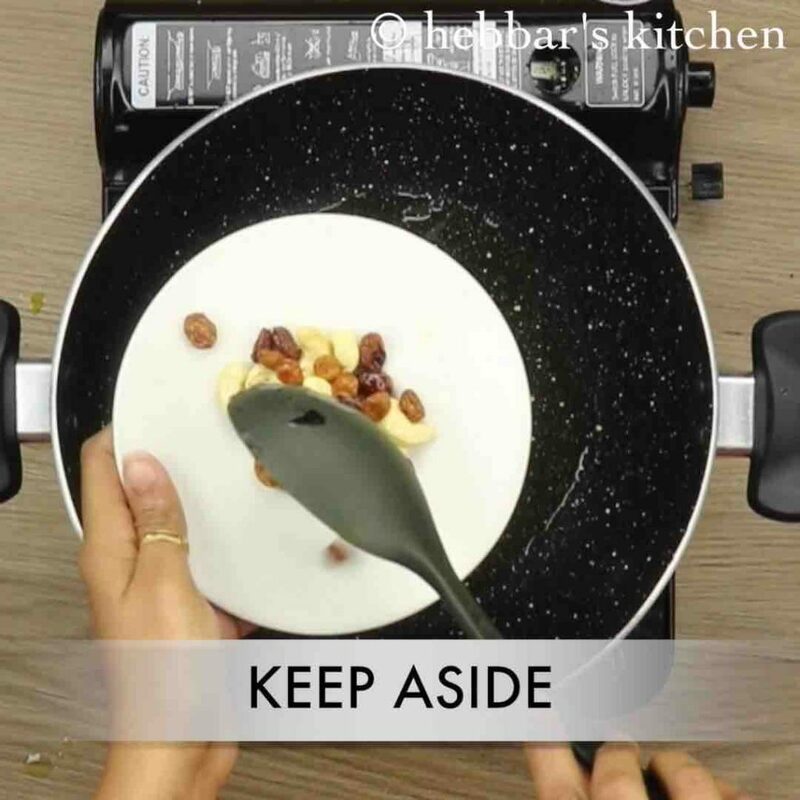 you can easily increase or decrease the quantity of sugar or even jaggery depending on your sweetness preference. 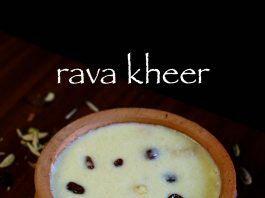 lastly, serve rava kheer hot or warm and it does taste pale when served cold. firstly, in a large thick bottomed kadai heat ghee. 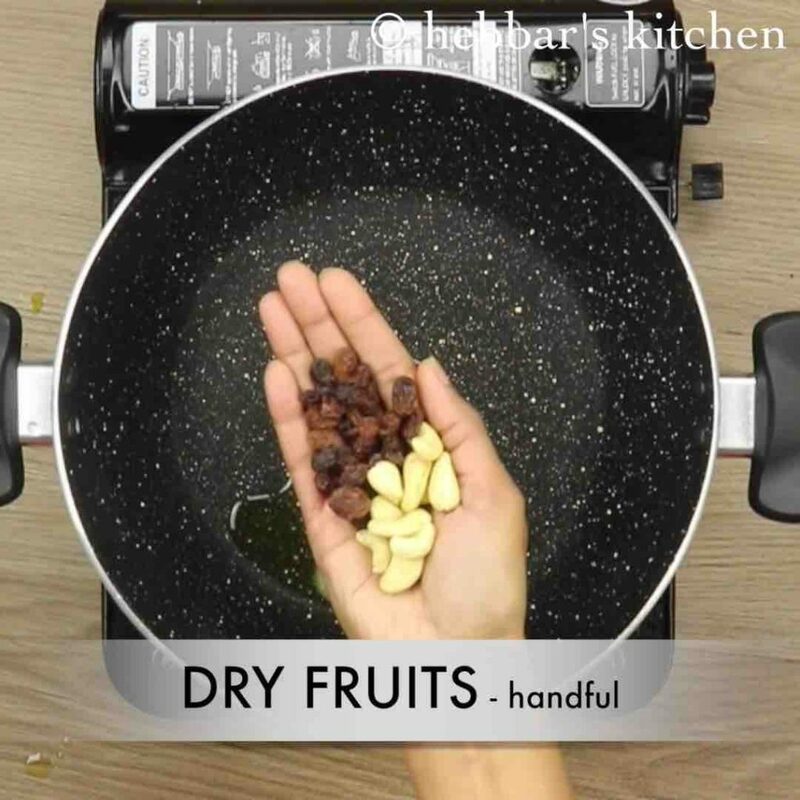 further add handful of dry-fruits and roast till golden brown. now add 3 tbsp of rava and roast till they turn aromatic. make sure to roast on low flame, else rava might burn. now add add in 2 cups milk and ¼ cup sugar. stir well and boil for 3 minutes or till sooji cooks well. 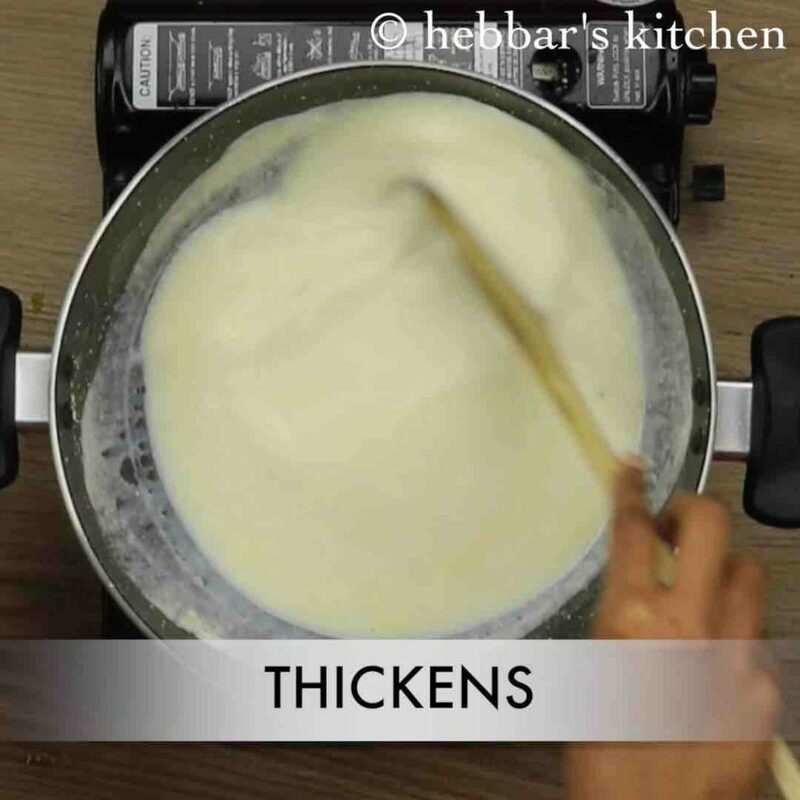 stir and check for the consistency, make sure the kheer has thickened slightly. 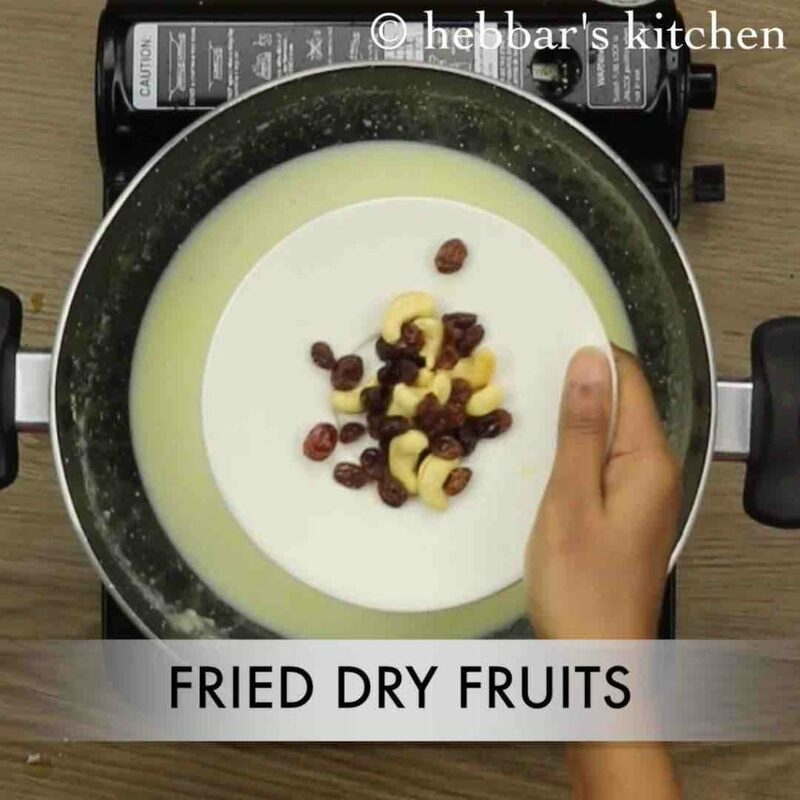 add in cardamom powder and roasted dry fruits. 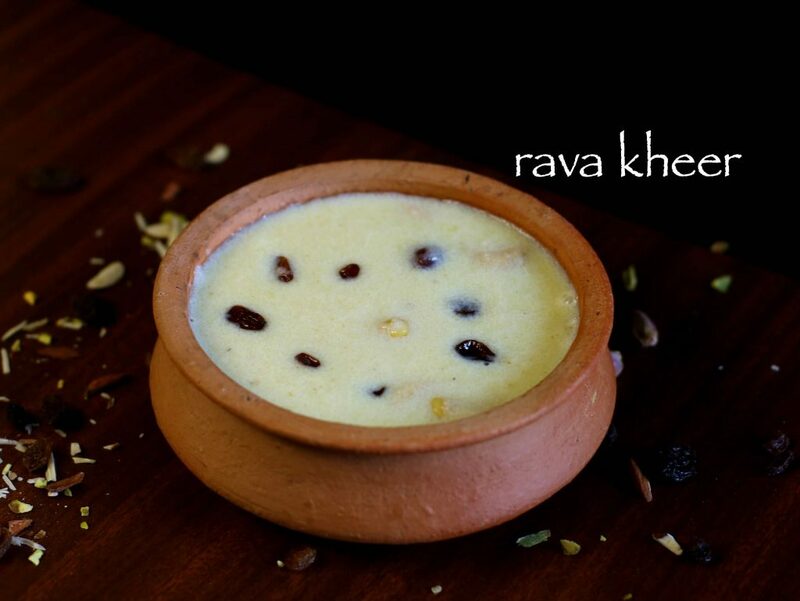 finally, serve rava kheer hot or refrigerate and serve chilled. 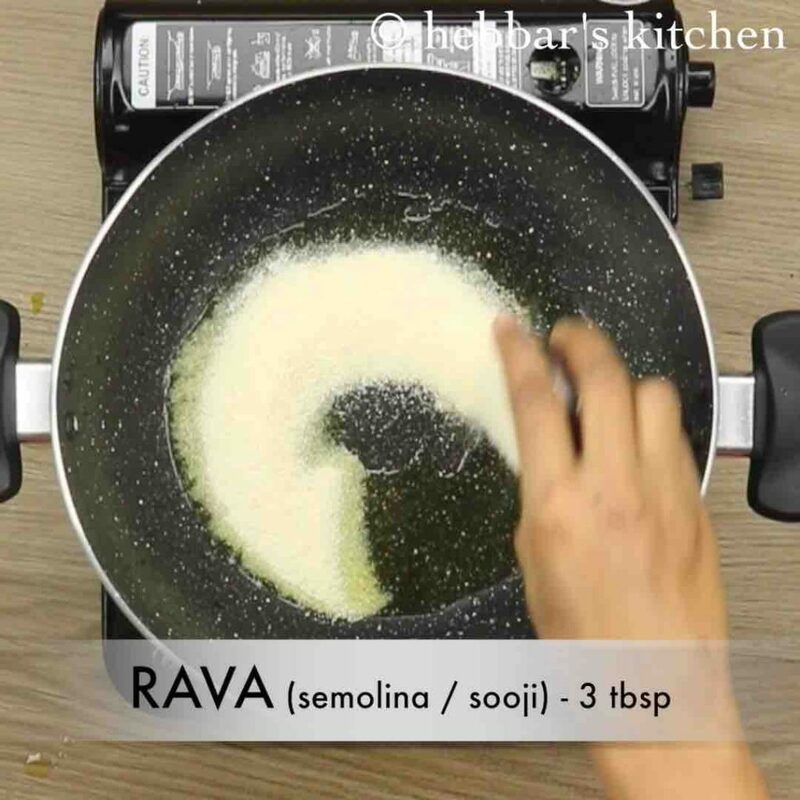 firstly, use fine sooji / rava, so that it cooks faster. 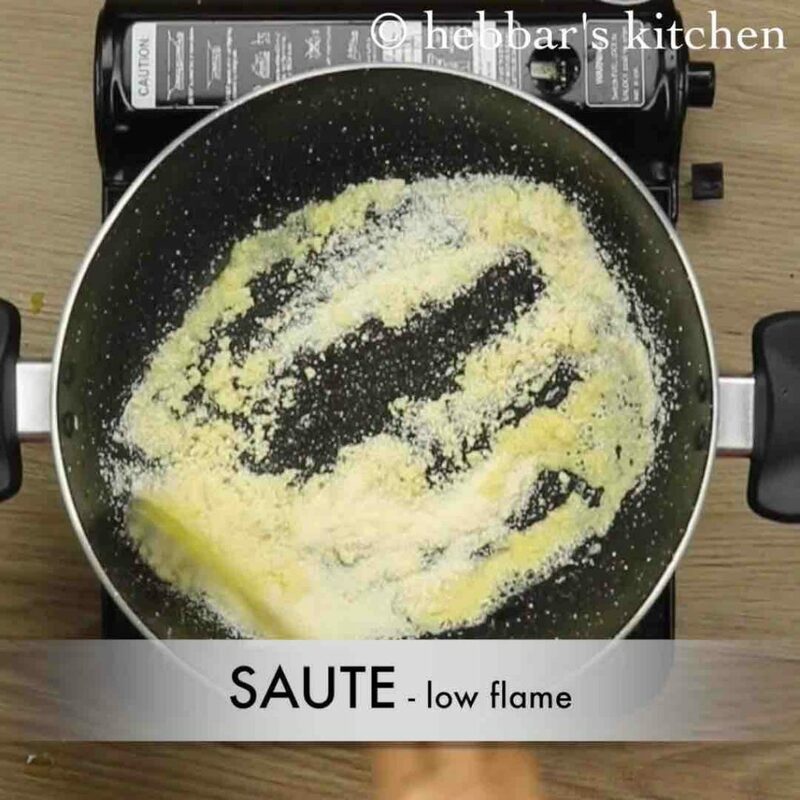 also adjust the amount of sugar depending on the sweetness. 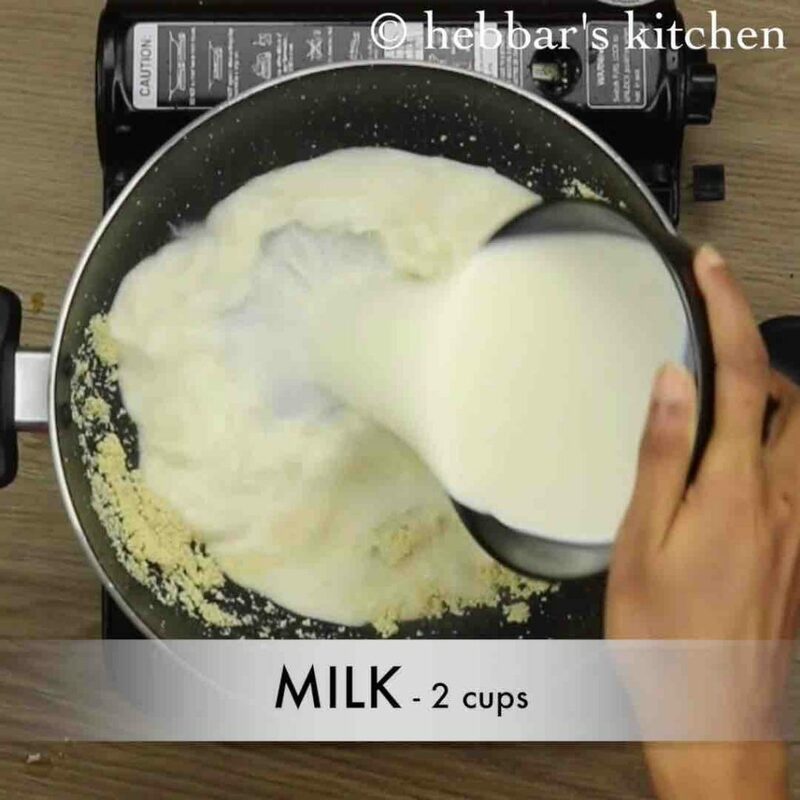 additionally, if serving kheer later, make sure to add more milk as it thicken when cooled. 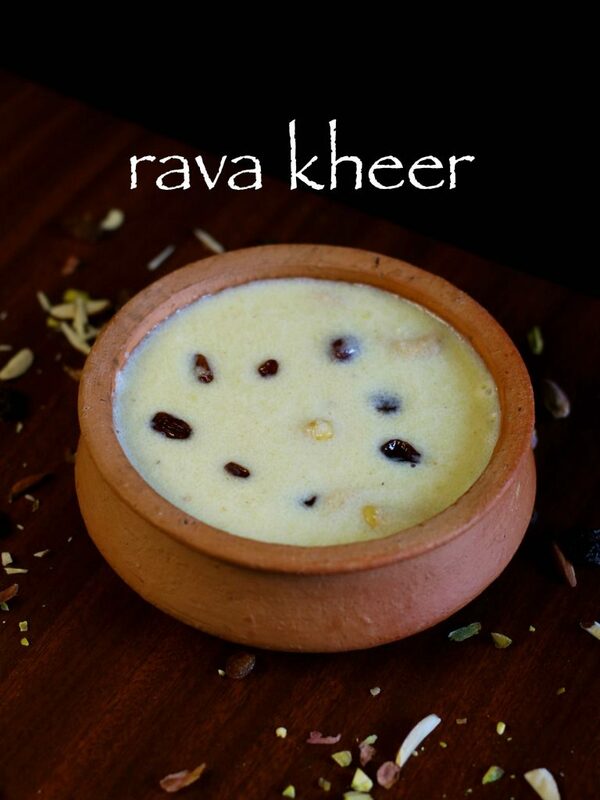 finally, rava kheer taste great when serve with more dry fruits.